Instagram, the mobile visual social media content platform continues to grow. With 200 million monthly active users posting 60 million photos daily, Instagram attracts 1.6 billion likes per day. 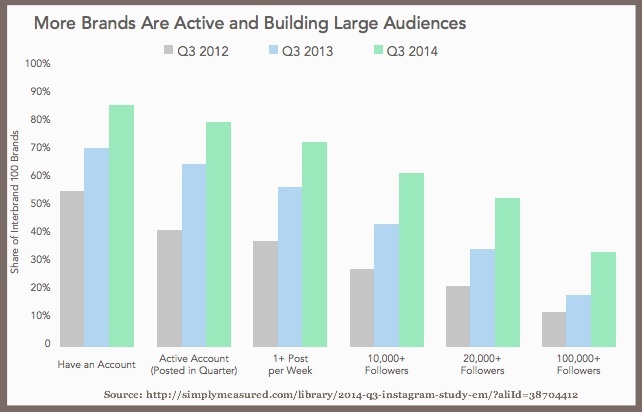 86% of top 100 Interbrands have Instagram accounts, up 15 percentage points from 2013. Simply Measured analyzed 6,075 posts by 80 brands that attracted 1,314,427 comments and 113,030,987 likes. Examine what content and how frequently other businesses in your category are posting. This helps you to determine your schedule. Determine where and frequently it makes sense to post for your business. Incorporate Instagram in your annual promotions as well as your regular social media interactions. Leverage the power of live events to snap photographs. 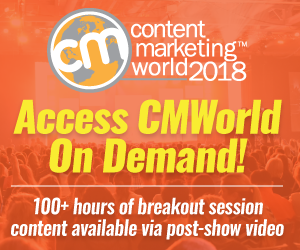 Encourage your customers and influencers to participate. Want to reach teens on social media? Instagram is your platform. 76% of teens use Instagram. More importantly, 38% of teens believe Instagram is a favorable marketing channel to reach them based on Piper Jaffray’s study of 7,200 teens whose average age was 16. 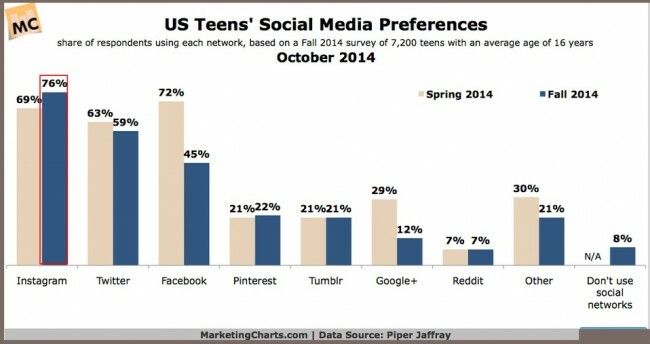 By contrast, 45% of teens use Facebook and 4% use Snapchat. Remember the first rule of Instagram: people are attracted to faces. It’s genetic. 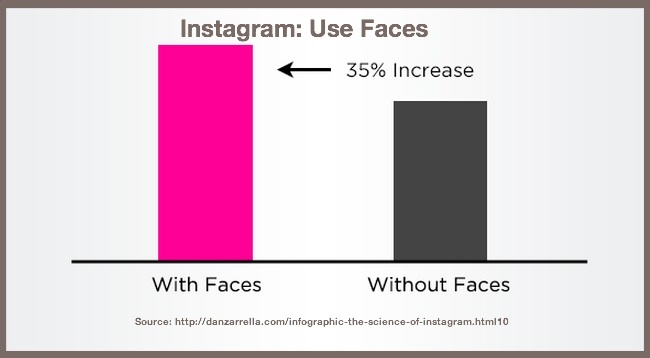 Use of faces on Instagram increases likes by 35%. 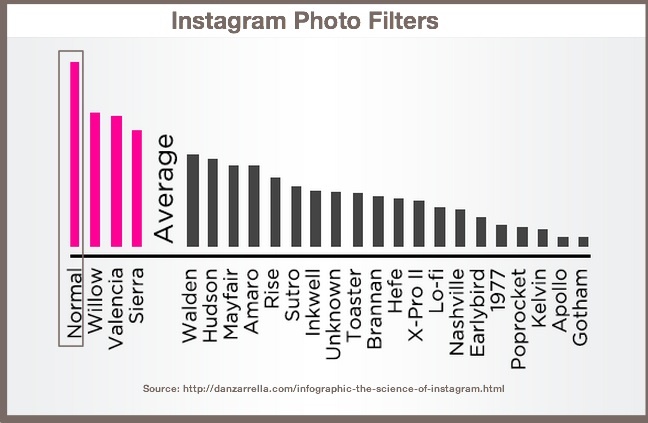 This is based Dan Zarrella’s Instagram analysis of 1,494,175 images posted by 538,170 users. While Instagrammers can use a wide range of photo filters to enhance their images, the plain, unvarnished approach worked best. The Willow, Valencia and Sierra filters also performed above average. Take your time to get the elements of your image right before you snap. This improves your end product in a way your audience likes. 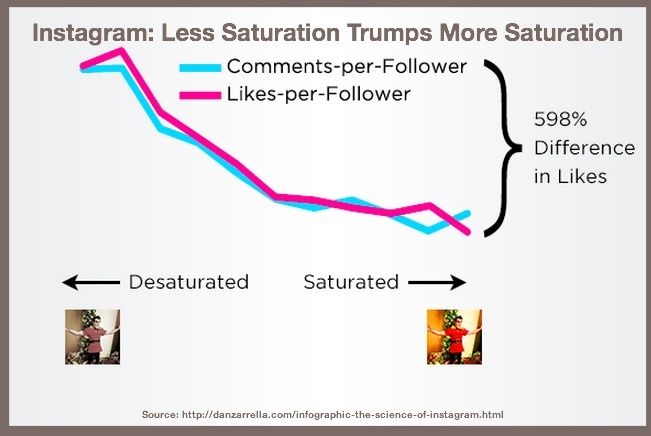 Use low levels of color saturation in your Instagram photos to get almost 600% increase in likes-per-follower according to Zarrella. 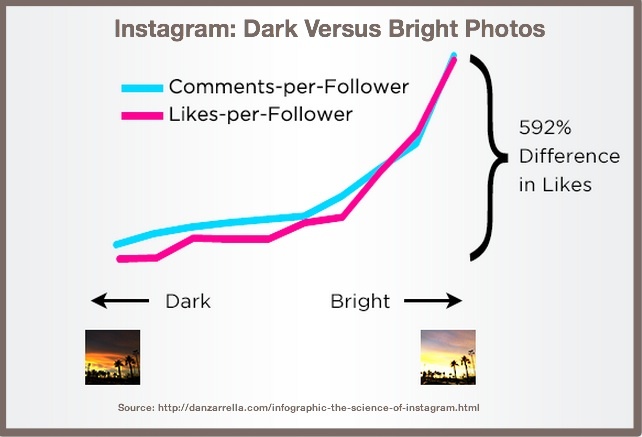 Adjust for brightness when shooting photos via Instagram since brighter images attract more likes than dark ones. This makes sense because it’s easier to get the meaning. Choose your colors to attract likes. Grays, blues and greens beat warmer yellows, oranges and pinks for likes. 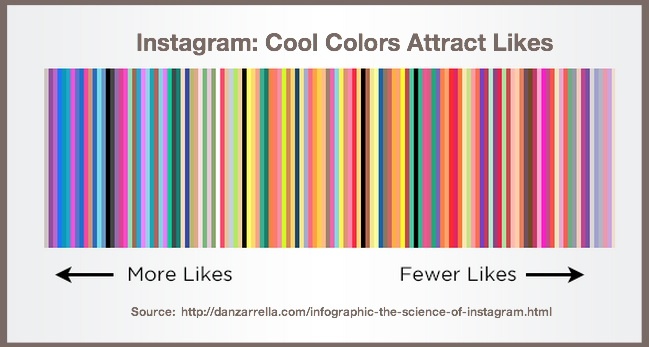 Skip the color saturation on Instagram to attract more likes-per-follower. 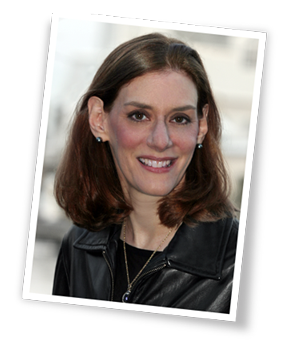 To ensure that this works for your images, test using saturated and unsaturated photos. Viewers gravitate to busier images yielding a 125% improvement in likes. This seems counter intuitive given the shift towards single focused presentation slides. Capture the action on Instagram. Viewers seek action. This makes sense since this is how we’re programmed as humans to be attracted to activities. It’s just translated to images. Instagram allows up to 30 hashtags. While 30 hashtags seems like a lot of extra information relative to other social media platforms, Zarrella found that the more hashtags used on Instagram, the more engagement as measured by likes and comments. Zarrella’s chart shows that 29 hashtags maximizes your impact. In large part this is attributable to having a lot of text content to describe your image. 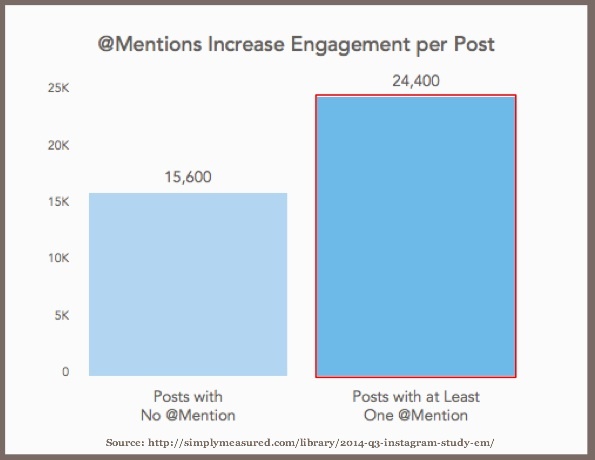 88% of brand posts contain at least 1 hashtag according to Simply Measured. 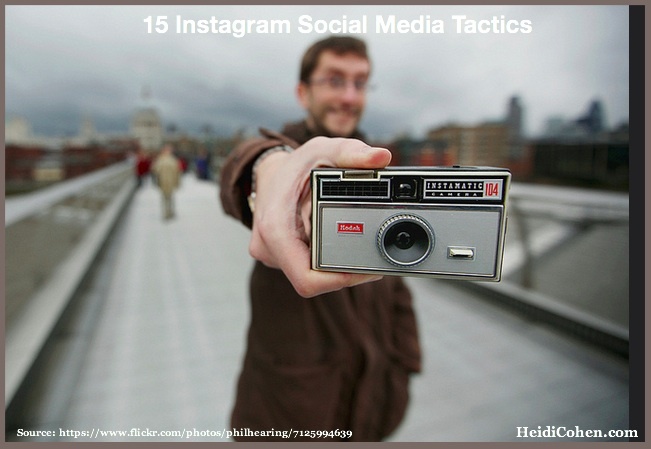 Using at least 1 hashtag on Instagram attracts 12.6% more engagement. Employ hashtags to expand your potential Instagram viewership based on niche interests. Test hashtag use on your Instagram images before going hashtag crazy. Examine the chart carefully. The trend line contains lots of spikes. You get most of the impact using 9 hashtags. 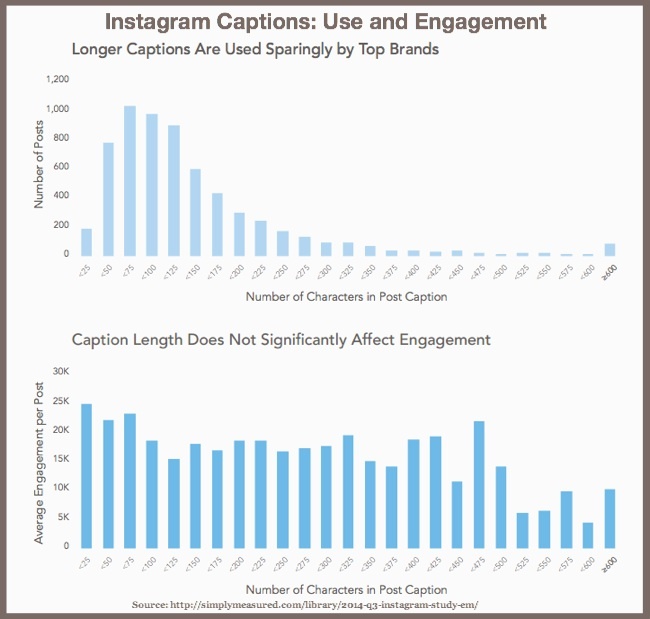 Instagram captions average 138 characters including hashtags. Intuitively, this makes sense since it’s similar to a 140 character tweet. Simply Measured found no pattern to audience engagement based on caption length. Craft captions to convey your message and contribute to the visual impact of your content. As your teachers told you as a child, use your words!!! Include another user’s handle in the Instagram caption to increase engagement over 50%. Yet only 1 out 3 brands mentioned another user. By mentioning other people, you broaden your audience, especially if the people mentioned have larger followings than you. Mention relevant and influential people in your Instagram captions where appropriate. Specifically when they appear in the photo. But don’t call people out just to attract their attention and spam them. 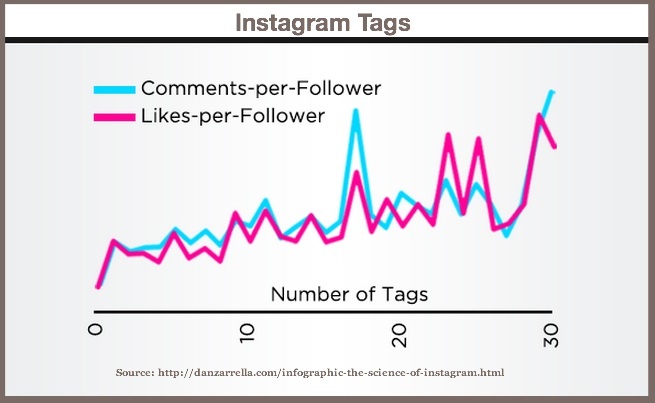 Zarrella found asking viewers to like or comment on your Instagram images matters (a lot). This behavior is consistent across a variety of different media platforms. 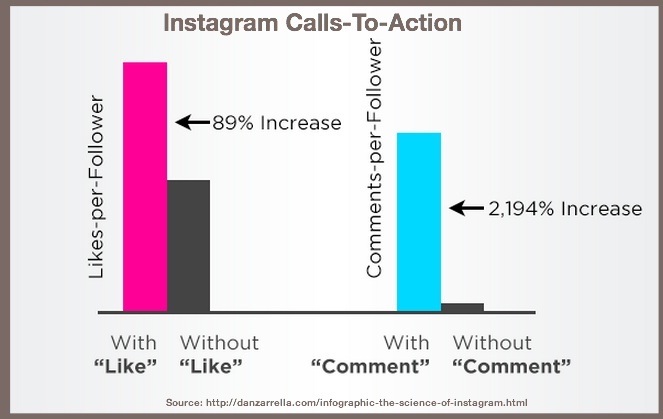 Incorporate a call-to-action in your Instagram caption to get more likes and comments on Instagram. Why leave activity to chance? Guide your viewers to act. As social media and content marketing become more and more visual, brands are increasingly adding Instagram to their social media mix. Instagram is a social media content win. Beyond being mobile, visual content, Instagram is long on easy: it’s easy-to-create, easy-to-share content, and easy-to-consume. How do you use Instagram in your social media mix and why? 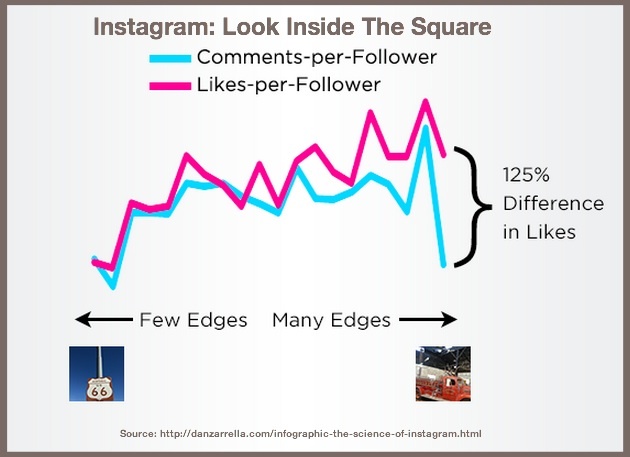 BTW, you may also be interested in these 10 Instagram marketing tips based on research. Tags Dan Zarrella, Instagram, Simply Measured, Visual Content. Bookmark the permalink. Thanks for this Heidi. As Usual very informative posts. Marketing in Instagram is actually, for me, is a baseline for images. It’s all about images–fast and up to date.But dealing with how and when and who to do great things on these were the things you have mentioned.